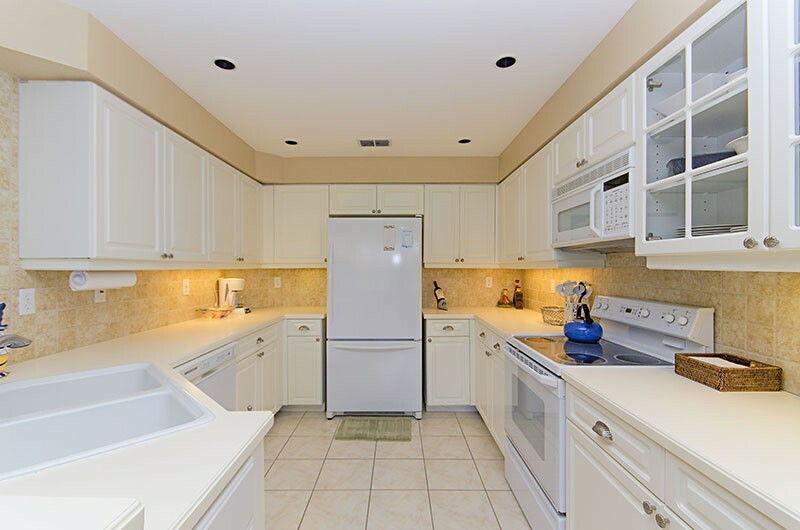 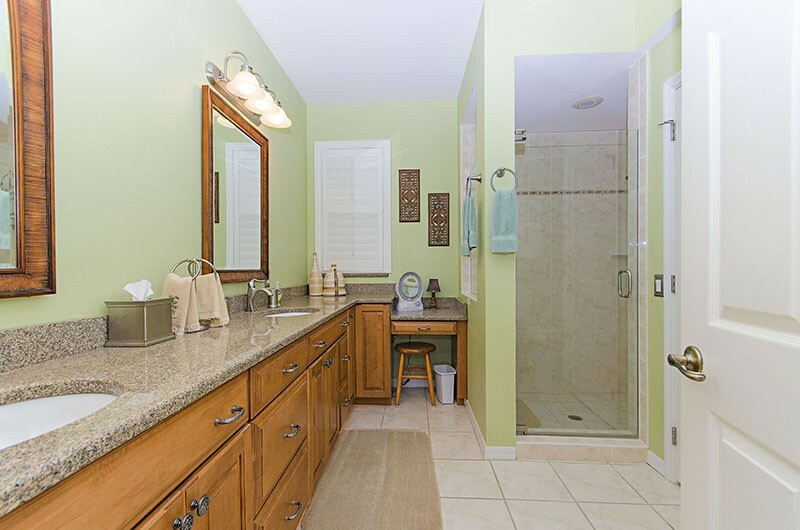 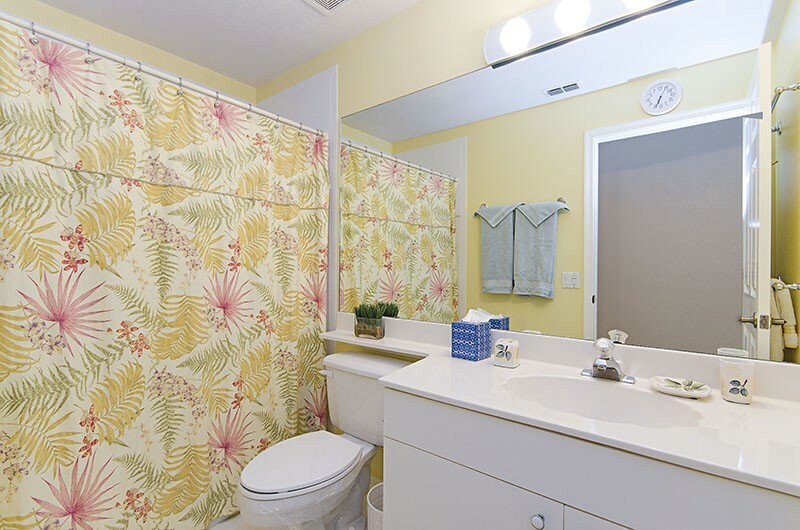 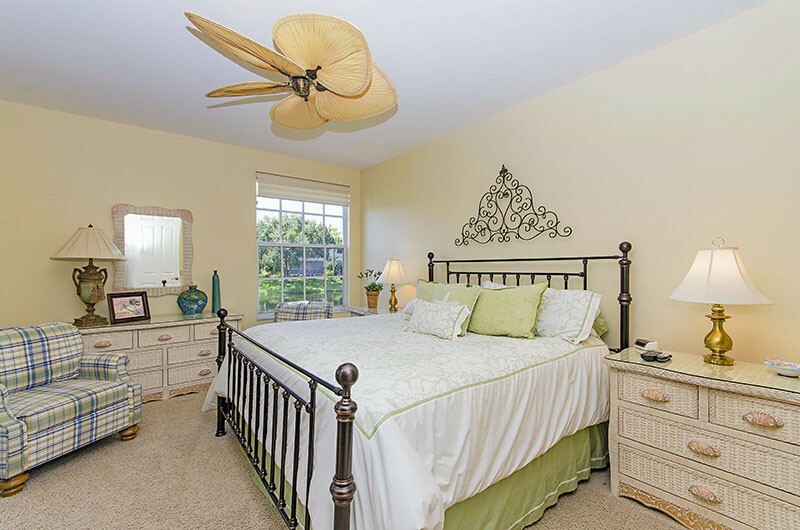 Tastefully decorated first floor, end unit, coach home located in Harbor Landing at Bonita Bay. 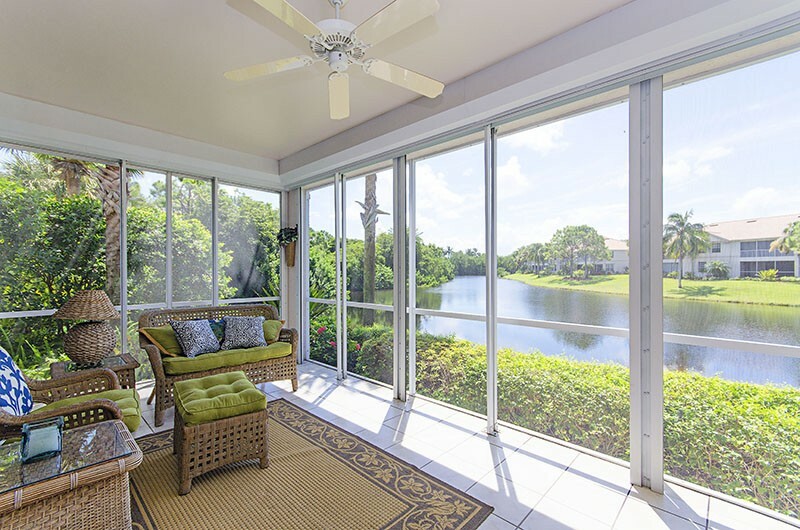 This full 3 bedroom residence features a great room floor plan that opens to an extended lanai with gorgeous lake view and beyond. 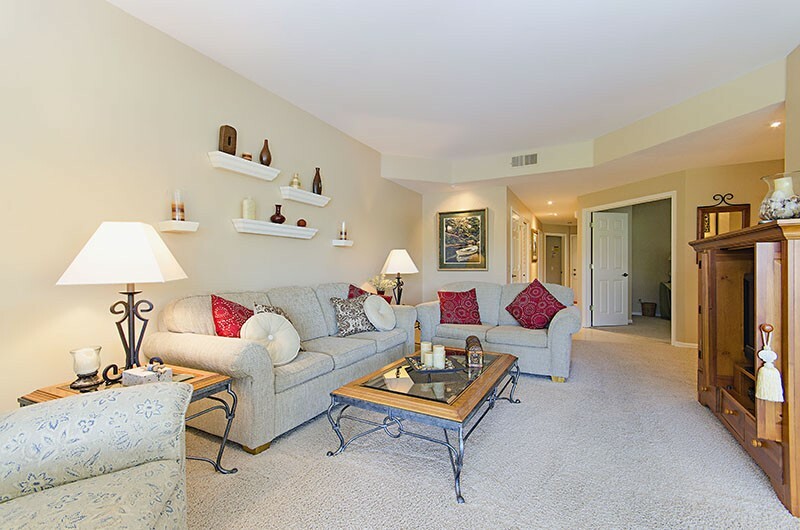 The main living area features a comfortable three seat sofa and coordinating love seat centered on a flat screened television. 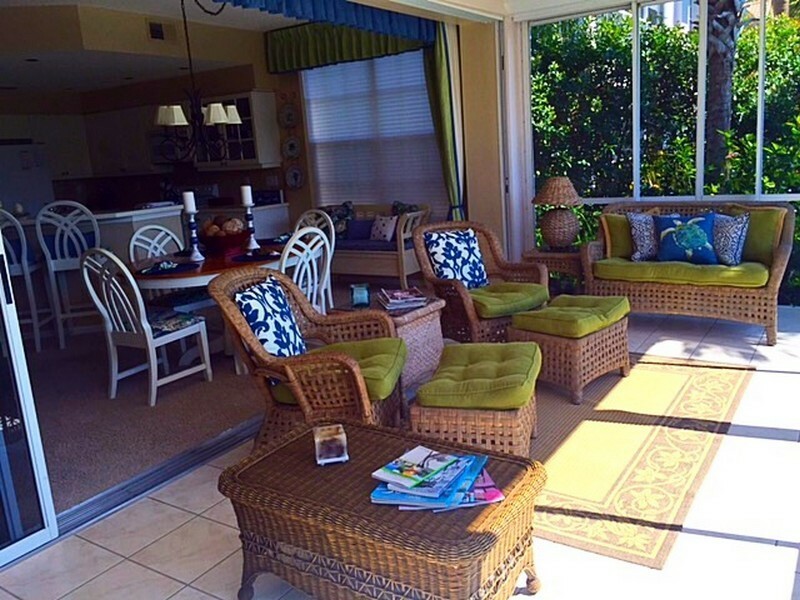 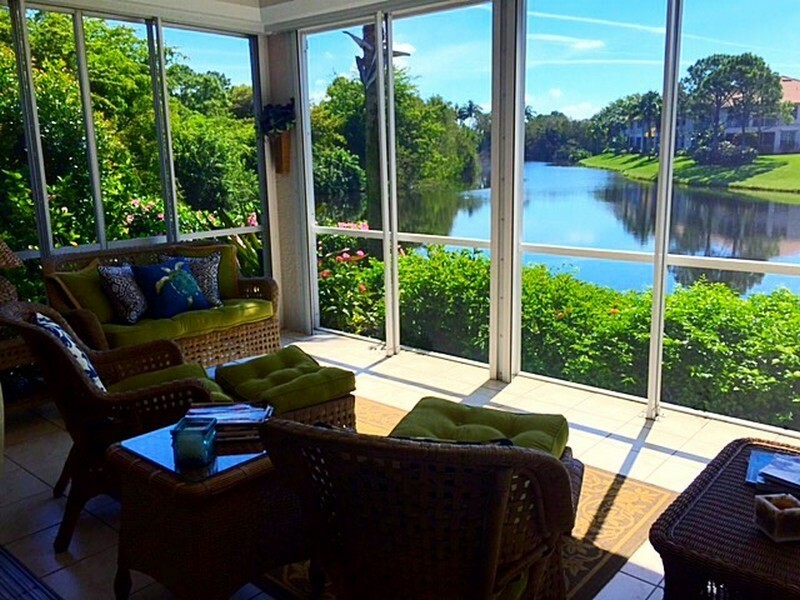 Pocket sliders open up to the extended lanai with confortable seating for six. 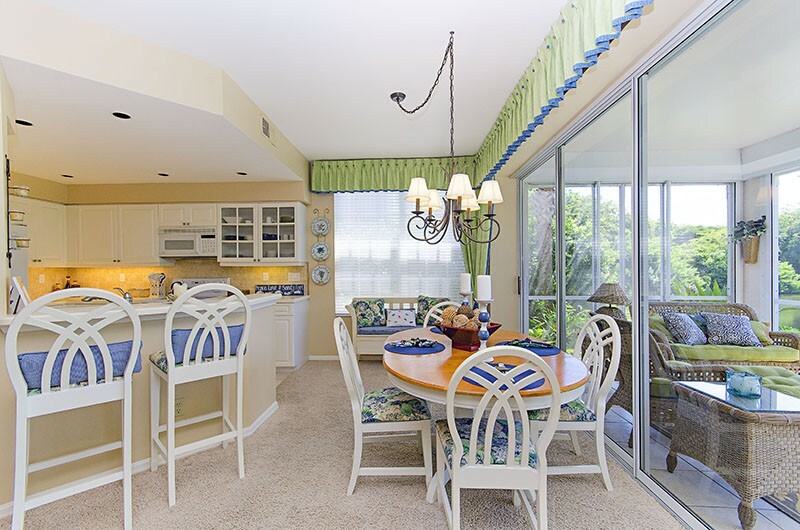 The dining area offers seating for six. 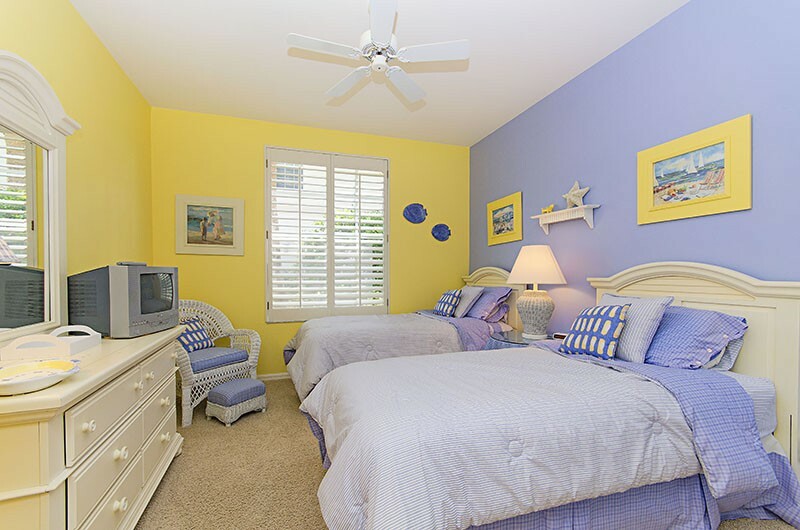 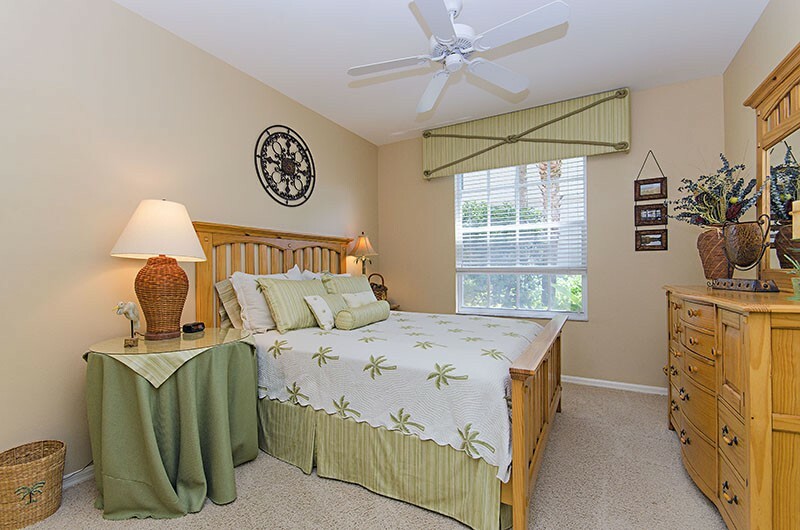 Master bedroom is suited with a king size bed, 2nd bedroom is fiited with a queen bed and 3rd bedroom has twin beds. 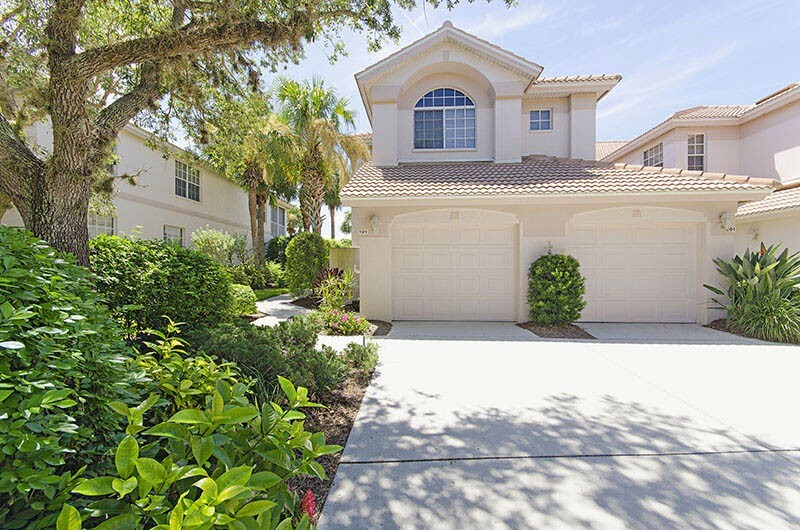 1-car attached garage, 4 bikes available for guests use, wireless internet and all the comforts needed for a enjoyable vacation. 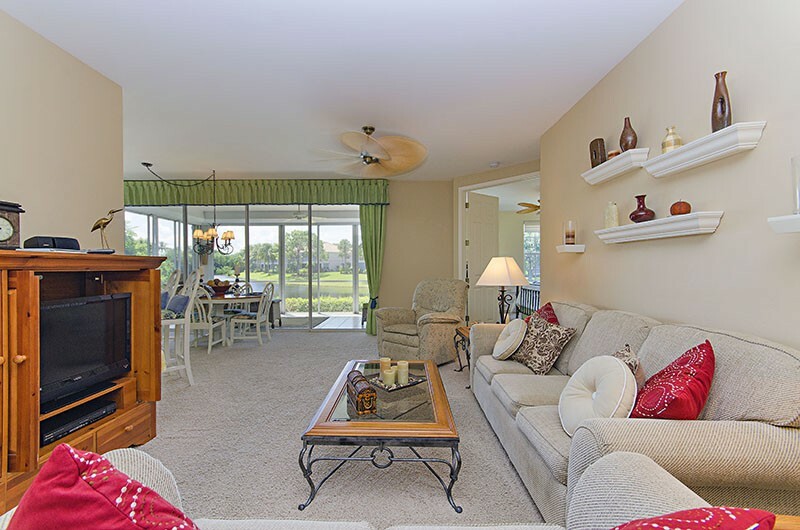 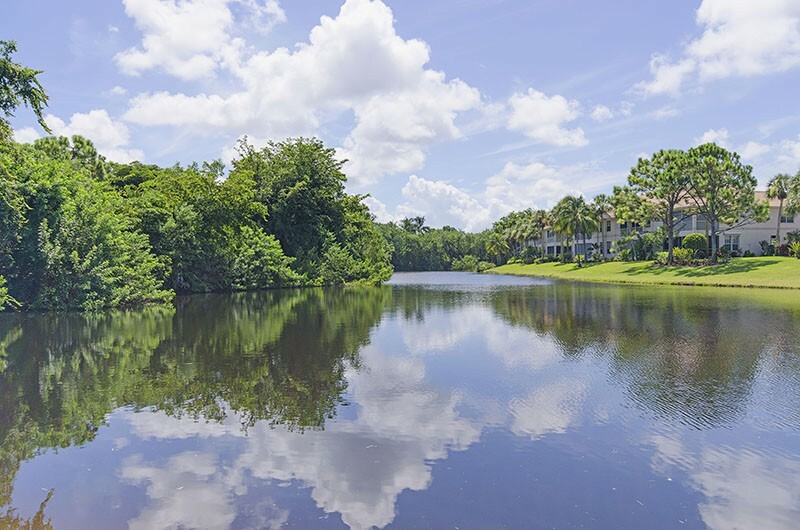 Please contact me with information regarding Harbor Landing in Bonita Bay.